Inspired by the latest F series M models, this M4 Look Front Bumper Kit will transform the look of your E92 E93 LCI 3 series and gives it a more sporty and futuristic style! Made from high quality ABS plastic, the bumper is of excellent quality and fitment. Fog lamp delete will cause OBC error so this must be coded out afterwards. 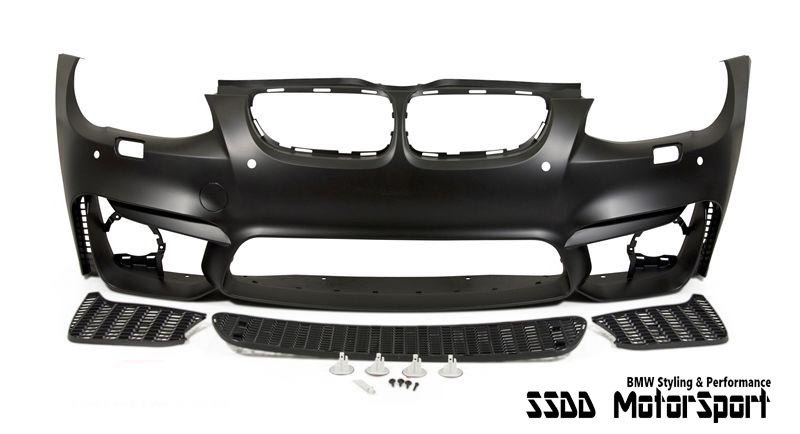 This bumper can be fitted to PRE-LCI E92 E93, however you will also need to change the LCI Bonnet and LCI Headlights.